Croque Monsieur and butternut squash soup. 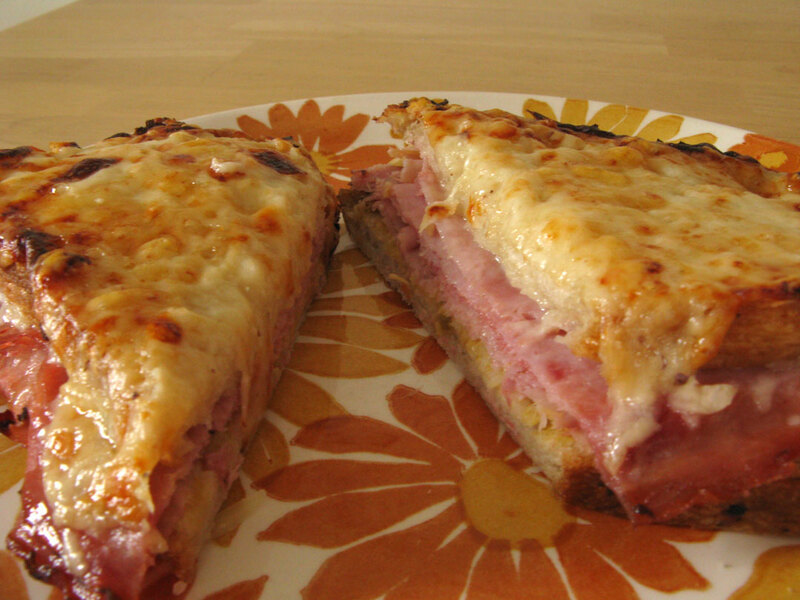 This croque monsieur recipe is what I used. I'd omit the salt for the sauce as the cheese and ham were salty enough. 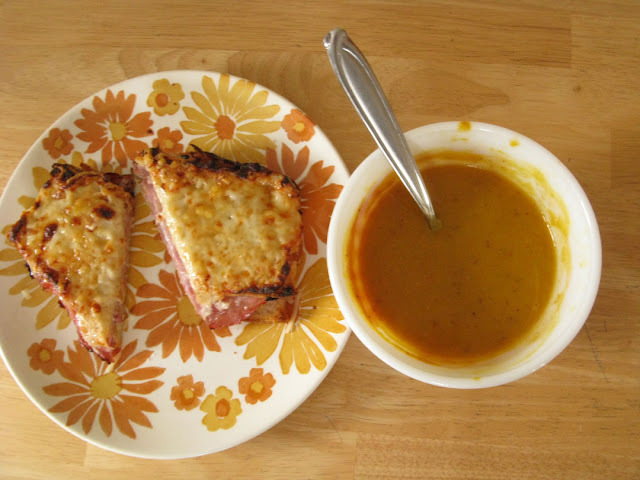 The butternut squash soup was something I improvised based on a soup I had at (of all places) Au Bon Pain. I took butternut squash, an apple, an onion, half a pack of bacon (really nice stuff - the kind that is thick sliced, center cut, etc etc), rosemary and roasted it all on a rimmed baking sheet until everything is nice and soft and roasty and the bacon is rendered. Then I dumped everything into a big stock pot added enough water to cover all of it. Brought it all to a boil and then pureed it with my immersion blender. Then a dollop of heavy cream stirred in at the end. Next time less apples or possibly no apples.